Siege warfare has been their stock in trade. For Australia, this series was a case of truth being stranger than fiction – in the good sense. Consistency across four tests reaped benefits earlier not thought-of, and it certainly wasn’t a case of a chain being as strong as its weakest link when a few individuals failed to step up to the occasion. Not a single test seemed likely to enter the fifth day, with the exception of the final one that might have not lasted so long had Australia enforced a follow on. 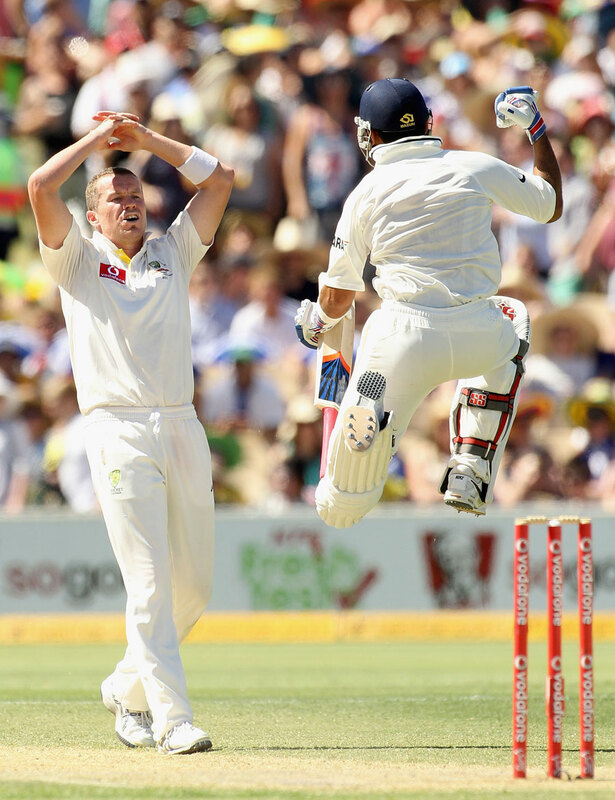 The worst thing about India’s 4-0 whitewash down under was the inevitability of it. That a large set of the players looked withdrawn and out-of-sync (every time the cameras focused on them) didn’t help the cause either. Astronomical numbers gathered over years of batting is what constituted the middle order, but there was little evidence to suggest that this was the barometer by which their performance was being gauged. As unpopular as this view will probably be, the proverbial rant surrounding why Rohit hasn’t played a Test yet will continue for some time to come. After all, when wickets fall at intervals so short that the same old advertisements are shoehorned every five minutes (in some cases, ironically featuring the stars that are on the field – or ones who had just lost their wicket), little can be said in defense of their numbers, irrespective of how large they are. They are statistical quirks, no more, and cringe-worthy. How meekly the Australians made a team of eleven Indians capitulate throughout the series ranks alongside General Friedrich Paulus’ surrender at Stalingrad in 1943. Never before had a German Field Marshall surrendered to enemy forces. And the Indian fans’ displeasure is as much as that, if not more, experienced by Adolf Hitler back then. The Australians have dominated the series with an air of perfection that would have made Michelangelo knock of the Sistine Chapel ceiling on a Sunday afternoon to target a work of art likewise. Playing a Test in Australia is never a pleasant experience – precisely why it is so fervently anticipated. The IPL might have forged opportunistic alliances between these two nations (among many others), but nothing further seems to have transpired. The Indians’ only comforting presence in the Australian dressing room would be that of Shaun Marsh, whose IPL image contrasts that which he has built during this series, albeit the formats being grossly different. Marsh is an unlikely candidate to catch the plane to the Caribbean, come this April. He has cut a lonely figure, resembling a Greek window-shopper unable to buy runs. Australia’s biggest gain over the series (apart from unearthing/refining an outstanding pace attack) has been the resurgence of Clarke as both a batsman and skipper. For some, Clarke’s Midas touch could’ve come as a greater shock than American Presidential Candidate Mitt Romney’s tax returns. Just as it seemed during the build up that Clarke’s perceived image would receive boo-eliciting responses to every remark he makes, given how unpopular he was among certain sections of the public, the response couldn’t have been more timely and stronger. That he had Ponting by his side all along the course of this series is a tribute to how the two of them have responded to immense pressure. 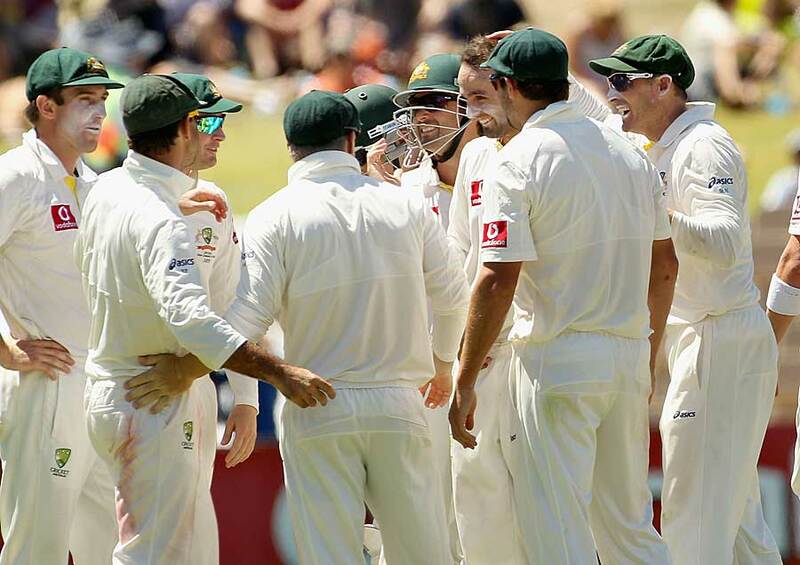 Premonitions over their roles and future in the Australian setup have finally been buried. With Brad Hogg making a comeback at 40, it would be hard to stop a rampaging Ponting from continuing to play on until he experiences another lean patch like he did in 2011. As will Mike Hussey fancy his chances in hanging around the International setup for some time to come – given how the influx of promising youngsters hasn’t quite worked out the way that the selectors might have anticipated. It would require a Marsh-esque run with a virgin willow for either of these two batsmen to have their performances under intense scrutiny once again. Haddin’s forgettable patch has rightfully seen him relegated, as much as claims may state that he was rested. At 35, it seems that his path henceforth is a foregone conclusion. 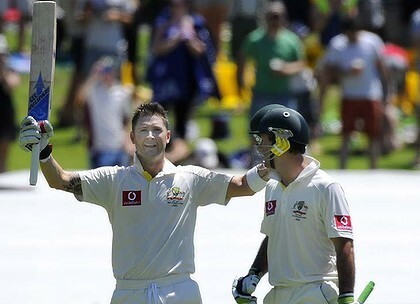 The absence (injury) of Paine brings in a whiff of fresh air via Matthew Wade, a youngster who has shown potential to dazzle crowds with his reassuringly simplistic approach to the game – more reassuring than Mickey Arthur’s claims that Haddin is on the right track for Ashes 2013. In truth, Haddin was only marginally better than being hopeless. Wade, on the other hand, will be in action as early as tomorrow when the two teams face off against each other in the first T20I at Sydney. He’ll feature alongside a few veterans, a few new names, a quirky Marsh and his younger brother Mitch (possibly), under the leadership of George Bailey after Cameron White’s inconsistent form relegated him into oblivion. Australia sits at a disappointing fifth in the ICC T20I Rankings. A new stadium, a new home outfit; the Aussie fans will hope that it is the same old result though.